Waterwall Linear Wash System A powerful, streaming wall of water delivers remarkable cleaning results. Maintains maximum pressure from corner to corner. AutoRelease door At the end of a cycle the door automatically pops open to circulate air and accelerate the drying time. Zone Booster Target different zones of your dishwasher with custom settings. Gliding Rack - Easily rack heavy items. 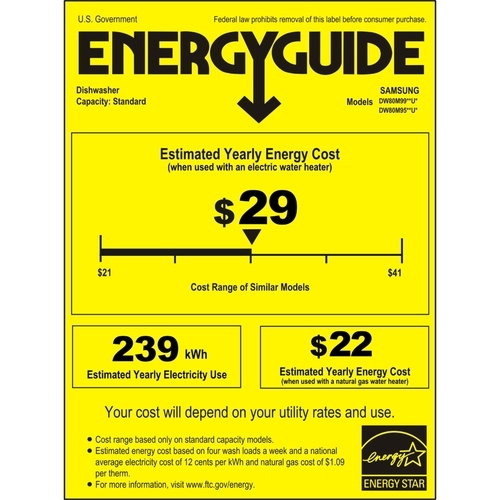 Energy Star® rated, which means lower energy bills. 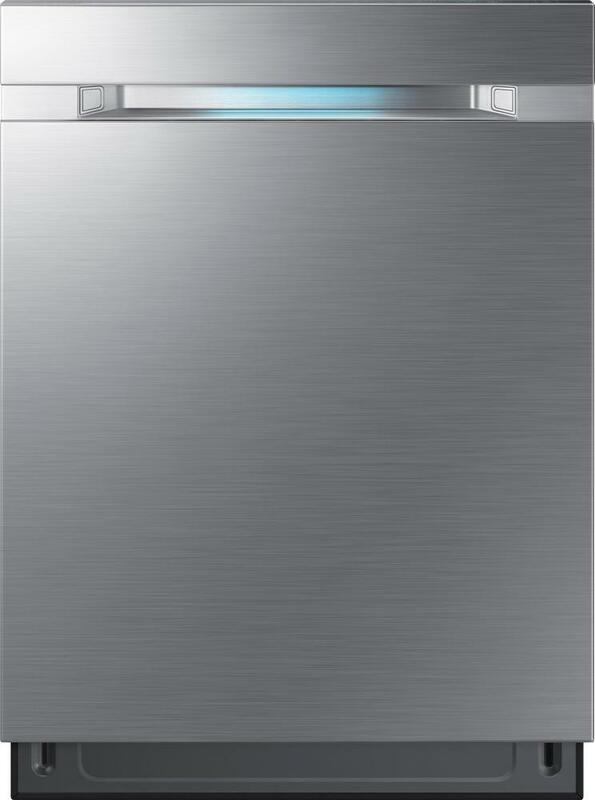 Speed up the wash cycle with Express 60, a setting to clean the dishes faster. It's ideal for lighter loads. 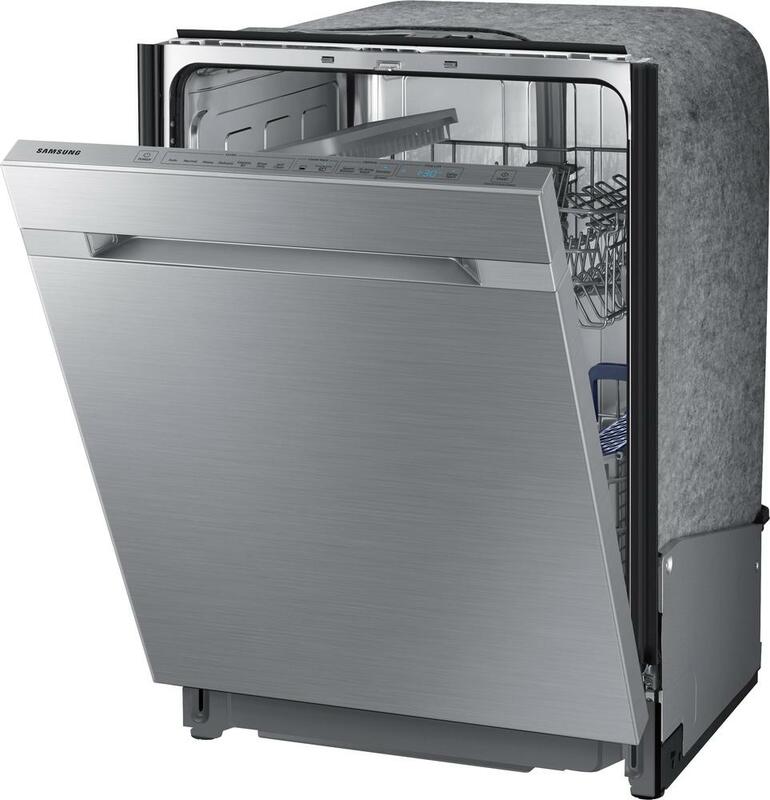 Easily maneuver the adjustable racking system to maximum space when you're fitting in an oversized item. Fit 15 Place Settings in a single load, ideal for cleanup after entertaining. Digital Leak Sensor identifies leaks as small as 1.5oz and shuts itself off before the water can escape. 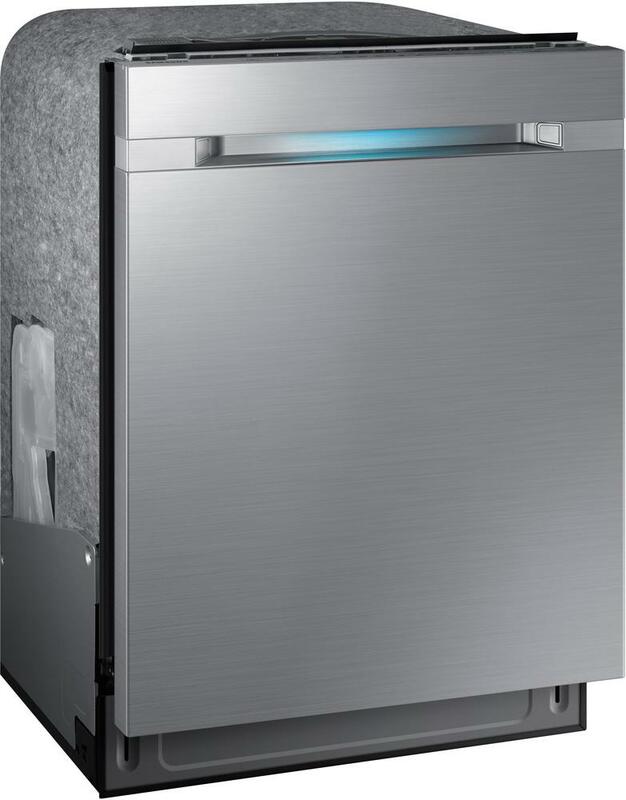 * Special insulation reduces noise to 42 dBA. Class defined by Association of Home Appliance Manufacturers. ** Faster than the Samsung DW80J7550 model.